JAYALALITHAA'S BIOPIC GETS A RELEASE DATE! Ever since former Chief Minister of Tamil Nadu, Dr. J. Jayalalithaa passed away on December 5, 2016, there have been speculations of a biopic being made on her life. Last year, director Priyaadarshini, a former associate of director Mysskin, had announced that she will be making a biopic about the actress-turned-politician. While the buzz was that Varalaxmi Sarathkumar will be playing the titular role, it was revealed that Nithya Menon will be essaying the role of Jayalalithaa, while Varalaxmi might play Sasikala's role. 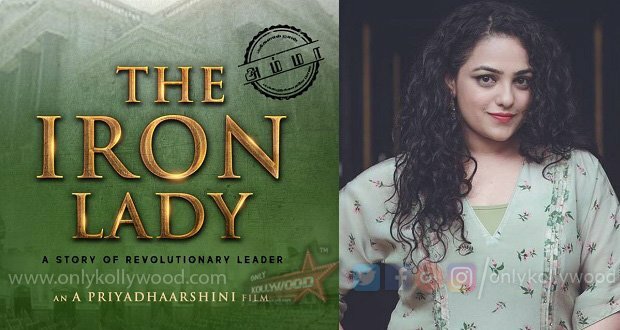 The first look of this film titled 'Iron Lady' was released on 5th December, 2018. The latest update on this project is that the released date has been announced by the makers. This project will hit the screens on 20th February 2020. The project will be bankrolled by Papertale Pictures. Stay tuned for more updates on Iron Lady and other films.